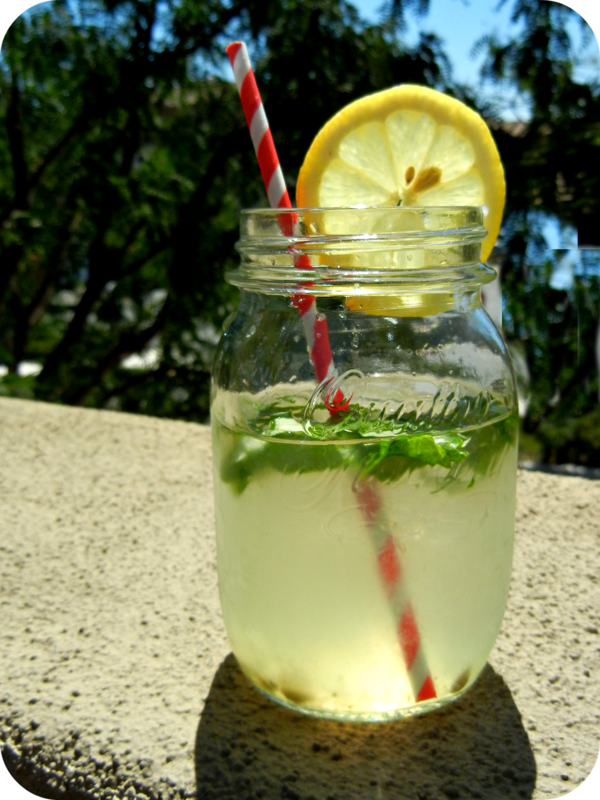 nutritionfixation: Pick(s) of the Day: Lemon and Basil!!!! Pick(s) of the Day: Lemon and Basil!!!! Lemons: As you may probably already know, are a great source of vitamin C (ascorbic acid). The juice of one lemon contains over 100% of the RDA (Recommended Daily Allowance) of vitamin C. Vitamin C is not only essential to retain a strong immune system, it is also a wonderful antioxidant. Vitamin C also plays a critical role in repairing the body tissues that is needed for wound healing. In addition, vitamin C is also necessary for the production of collagen in the skin, bones, and teeth. Lemons are also a wonderful source of potassium. Potassium balance is critical for organ, tissue and muscle function in the body. Basil: Is an herb typically used for Italian dishes and is known for its very unique sweet flavor. Basil is also packed with nutrients. It is high in fat soluble vitamin K. Vitamin K plays a vital role in body functions, including blood clotting (it is required for the coagulation of blood – this is a very good thing) as well as participates in bone mineralization. Basil also has antimicrobial capabilities against many strains of bacteria, including e. coli. One of my biggest problems with many commercially sold lemonade today is that they are not only loaded with way too many sugars (such as high fructose corn syrup), but they never taste fresh. I sometimes forget just how easy it is to make homemade lemonade. A great way to serve beverages is in reusable containers. I like to use mason jars because not only are they green and BPA-free (bisphenol A is an organic compound commonly found in plastics and canned goods that have been linked to certain cancers), but they have a wonderful rustic look. 2 Tbs. of organic cane sugar (or to taste). 4 basil leaves, chopped into strips. A fruit muddler (or some sort of pestle to mash the basil). Part 1: In a liquid measuring cup, pour in drinking water. Add the sugar. Heat on stove until the water is warm (frequently stirring). Once the water is warm and the sugar is fully dissolved, cool for about 20-30 minutes. Pour the liquid back into measure cup and place in the refrigerator for about an hour. Part 2: In the mason jar, add the basil and 1 cup (half) liquid mixture. Using the fruit muddler, gently crush the basil. Squeeze the juice of one entire lemon into the jar and stir. Repeat part 2 with the second jar. Serve and enjoy! Label is for one serving of Basil Lemonade. 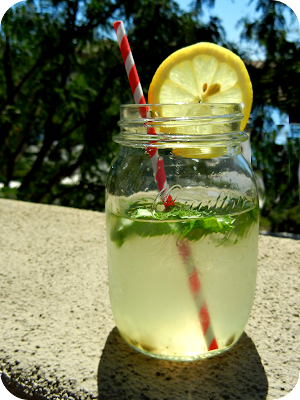 I love it, cant wait to make some lemonade :) What a simple yet wonderful and yummy drink, you are making me thirsty ! I am definitely making this tomorrow! I have organic homegrown lemons and basil that are just asking to be served! love it Francine! Let me know how it goes!